How does one earn the title of "Father of Television"or "Mr Broadcast"? Try being at the the cusp of development and change in broadcasting and add an enormous amount of devotion and hard work. That's what George Barlin did. With his passing this week, it is only fitting that we reflect on the achievements of a man who by chance became a radio broadcaster in Canberra. George Barlin was the eldest of seven children, so when he finished high school, his father told him that he had one farm and many children, so George should use what he had learnt and find a job. George received rejections from the public service and the bank, before he was hired to work in Canberra as a cadet broadcaster with Albert John (AJ) 'Jack' Ryan at Canberra's first radio station, 2CA. George wasn't hired because he was the best, in fact it was by accident that he was interviewed in the first place. When AJ shortlisted for the job he chose applicants who were in the vicinity of Sydney, so the transfer to Canberra wouldn't be difficult. It wasn't until George's interview that AJ was surprised to learn that George was from Lansdowne near Taree (some 200 miles further away). AJ assumed that George was from Lansdowne Bridge near Liverpool, Sydney. Nevertheless AJ saw something in him and even though he didn't see him as the best candidate, George had travelled the farthest and AJ offered him the job. Even though the pay was low and the hours were long, George accepted the offer. George was 2CA's first formal employee at the ripe age of sixteen. The station had gone on air only 15 months before George took up his position located at the back of AJ's music, electrical and radio shop in Giles Street, Kingston. George had two days to learn how to use all the broadcasting equipment from AJ (who incidentally had built them all himself), before he would be left alone to do his first broadcast while AJ went to Rotary. George rose to the challenge. It wasn't long before AJ leased land on what came to be known as 'Radio Hill' in Fyshwick. Aside from interviewing VIPs in Kingston on the landline, most transmissions took place from Radio Hill. 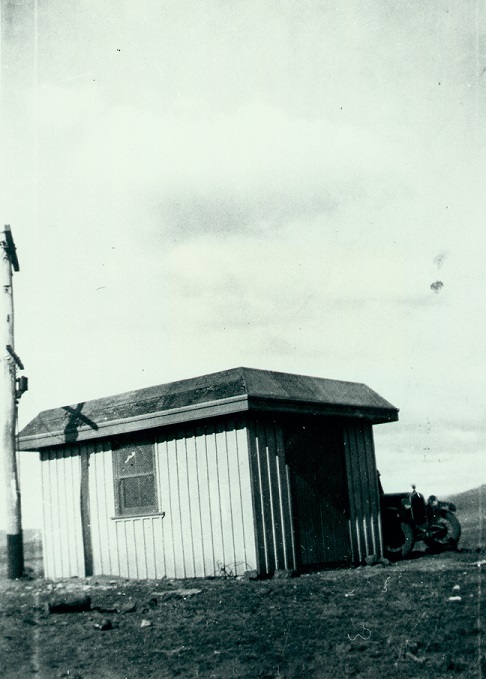 After 18 months, the Department of Civil Aviation provided the appropriate government radio facilities and 2CA ceased its unique service. 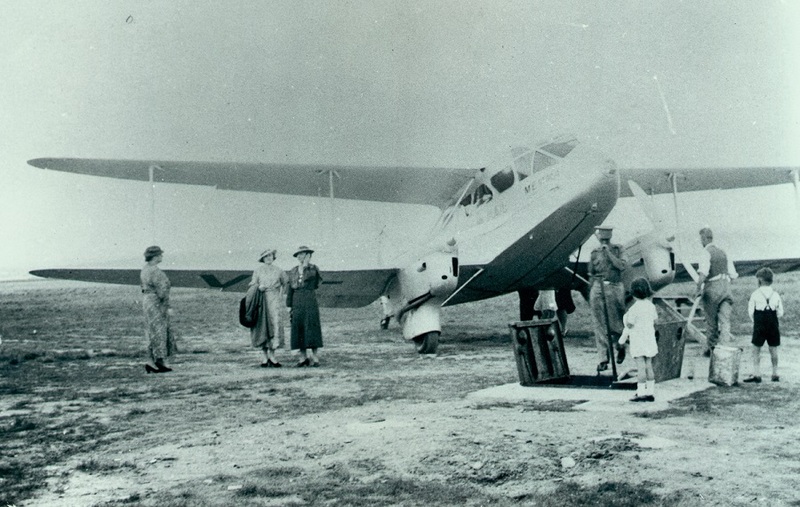 A De Havilland Dragon Rapide of Holymans Airways on the ground in Canberra, 1935. Iris Taylor (George's fiance at the time) is second from the left. George met Iris Taylor, a Capitol Theatre usherette, in 1938. He would meet up with Iris after his 10.30pm shift each night, except on his day off (once a fortnight) when they would go to the local cafe right across from Iris' parents house. That same year the pair got married and 2CA moved to Civic next to the Civic Theatre. AJ sold to the Macquarie Network after the move, finding juggling the radio and his shop all a bit too much. 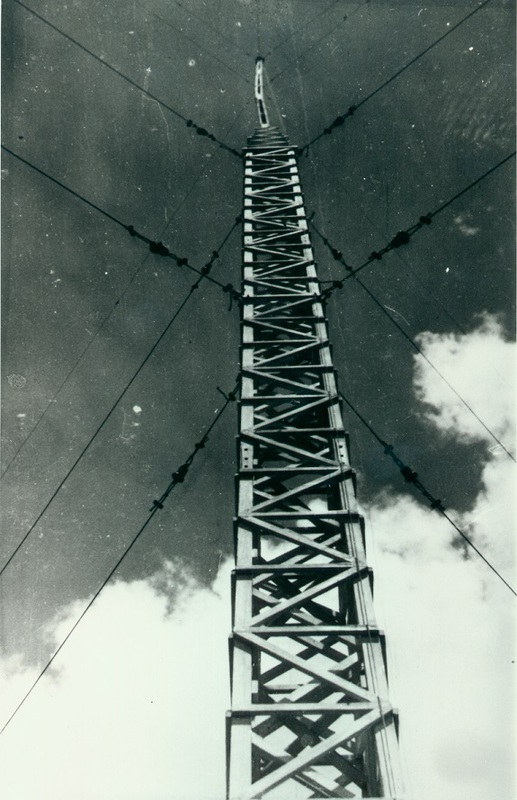 The transmitter also got moved to Belconnen and staff increased from just George to twenty-eight. The station started to lose money. By 1941 George was manager and changes to services were made to bring in profit again. He worked through the war years when staff were reduced to seven. George was also responsible for national broadcasts of successive prime ministers and would be seen weekly taking equipment to Parliament House or The Lodge. In the1950s George's interests in broadcasting took a new turn. Television had made it to Sydney and Melbourne so George wanted to extend the reach to Canberra. Despite being advised against it George persisted and together with Arthur Shakespeare of The Canberra Times, obtained a license to introduce television to Canberra. With George as General Manager, CTC-TV went to air on 2 June 1962, and later became Capital. George officially retired in July 1978, but this did no stop him from remaining within the media environment as a board member. At one stage he was a Director of Macquarie Broadcasting, The Canberra Times and CTC all at the same time. He was involved with these businesses in some capacity until the age of 72. George then diverted his energy to becoming a member of the Commonwealth Drug Education Committee, Chairman of the ACT Building Review Committee and member of the Council of the Canberra School of Art. George and Iris had four sons - Brian, Warren, Keith and Robert. Together, in the late 1970s, they participated in a farming enterprise at their Brindabella property for a period before the sons pursued other interests and George had a nasty accident which caused him to break his pelvis. George and Iris celebrated 78 years of marriage in 2016, only ending with Iris passing away three months before George. It is not often that a person gets to live to one hundred, let alone celebrate theirs and their life partners 100th birthday and be deemed the oldest couple in Canberra. Iris and George did. George and Iris lived through much growth and change in Canberra, but what George did was not only see it, he influenced it, even when he had doubts. He fondly refers to AJ Ryan in his book A Quirk of Fate as his mentor, stating that when he wasn't sure of things he would ask himself what would AJ Ryan do? and the response was "when in doubt give it a go". George indeed gave it a go and we all are now benefiting from his determination and hard work. Thank you George for you incredible commitment to the broadcasting world in Canberra. 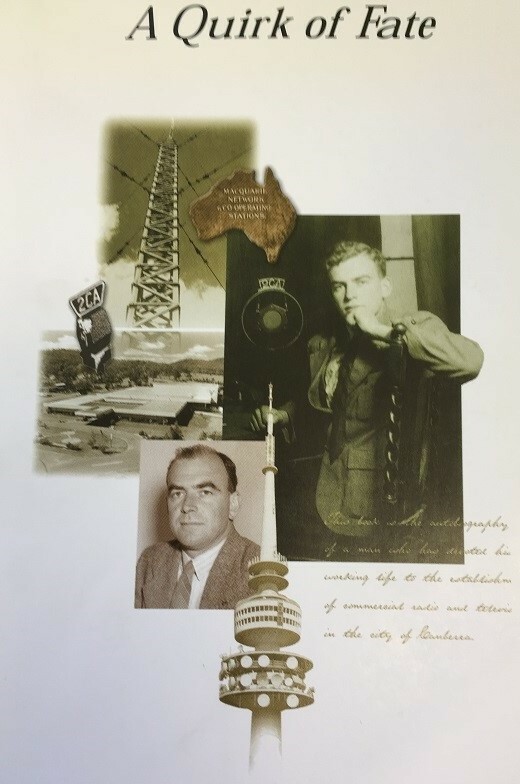 You can learn more about Gearge Barlin's career through the ACT Heritage Library's collection where you can explore the HMSS 0367 Radio Station 2CA papers or browse through George's Book. 1981 'Unique service', The Canberra Times , 13 November, p. 11. Emerton, Val; Canberra Stories Group 1996, Past images present voices : Kingston and thereabouts through a box brownie, Canberra Stories Group, Murrumbateman, N.S.W.